What is Next Generation 9-1-1? NG9-1-1 will be a system comprised of Emergency Services IP networks (ESInets), IP-based Software Services and Applications, Databases and Data Management processes that are interconnected to 9-1-1 dispatch centers. The system will provide location-based routing to the appropriate 9-1-1 dispatch center. The system will use additionally available data elements and business policies to augment 9-1-1 dispatch center routing. The system will deliver geodetic and/or civic location information and the call back number. The system supports the transfer of calls to other NG9-1-1 capable 9-1-1 dispatch centers or other authorized entities based on and including accumulated data. NG9-1-1 provides standardized interfaces for call and message services, processes all types of emergency calls including non-voice (multi-media) messages, acquires and integrates additional data useful to call routing and handling for appropriate emergency entities. NG9-1-1 will support all existing 9-1-1 features and functions and will meet current and emerging needs for emergency communication from caller to Public Safety entities. 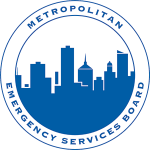 The Metropolitan Emergency Services Board (MESB) is actively engaged in planning the transition of the nine-county metropolitan area 9-1-1 system from the current analog technology to a Next Generation 9-1-1 (NG9-1-1) system. 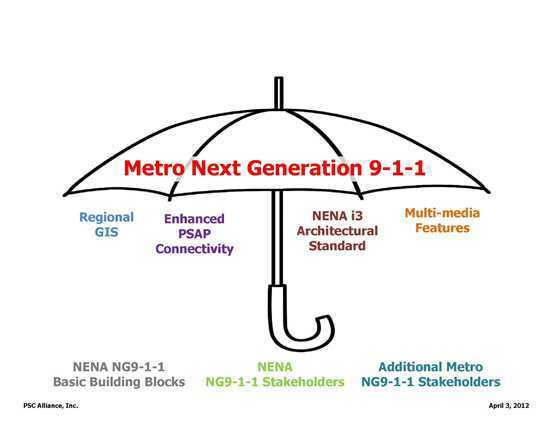 NG9-1-1 will be based on Internet Protocol technology as defined by the National Emergency Number Association, a 9-1-1 standards development organization. The transition will be an evolutionary process which is expected to span several years. When the transition is complete, the metropolitan area 9-1-1 system will support not only voice 9-1-1 calls, but also multimedia messaging, including text, images, and video, for 9-1-1 emergency services provided to the three million people living in and visiting the metro area each day. Geographic Information Systems (GIS) data, created locally and coordinated by the MESB regionally, will be used to route calls to the 9-1-1 dispatch center serving the caller’s location. NG9-1-1 enabled dispatch centers will have additional applications and services permitting them to continue to work together to share information and efficiently manage emergency response wherever it is needed in the metro area. The MESB is working closely with the MN Department of Public Safety, Division of Emergency Communication Networks, to make NG9-1-1 a statewide reality, while also meeting the specific local needs of the nine-county metro area.